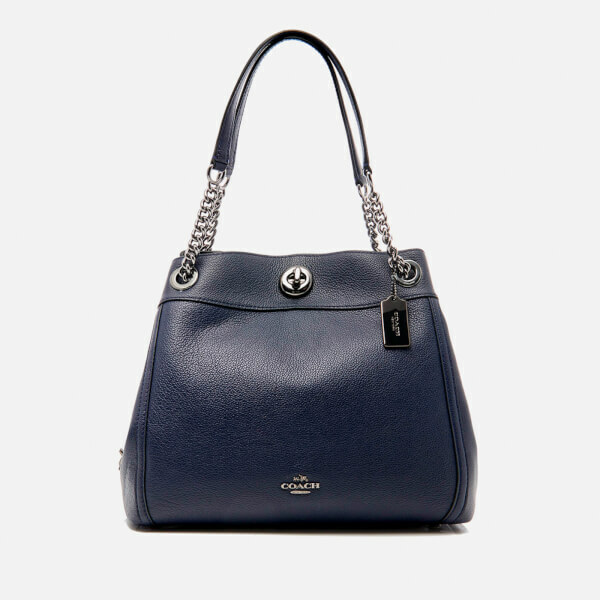 Coach shoulder bag with an Italian pebbled leather construction. 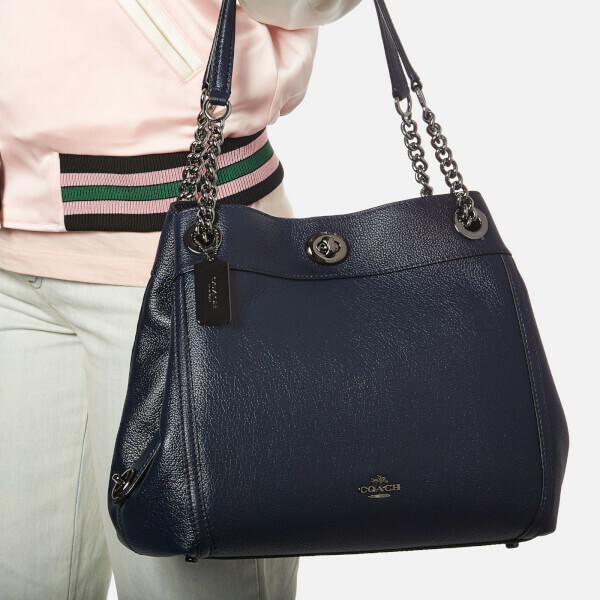 Secured with a turnlock clasp, the 'Edie' opens to reveal a fabric-lined, ultra-functional interior with two spacious compartments, a central zipped section and multiple slip and zipped pockets. 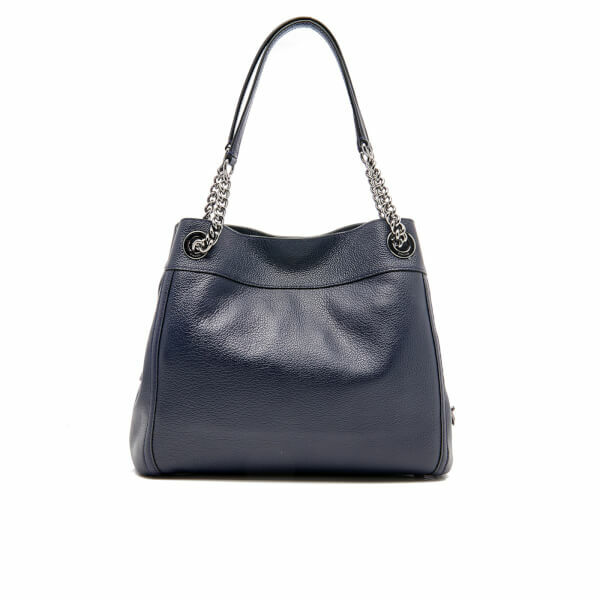 Accentuated with polished grommets and chain detailing at the carry handles. 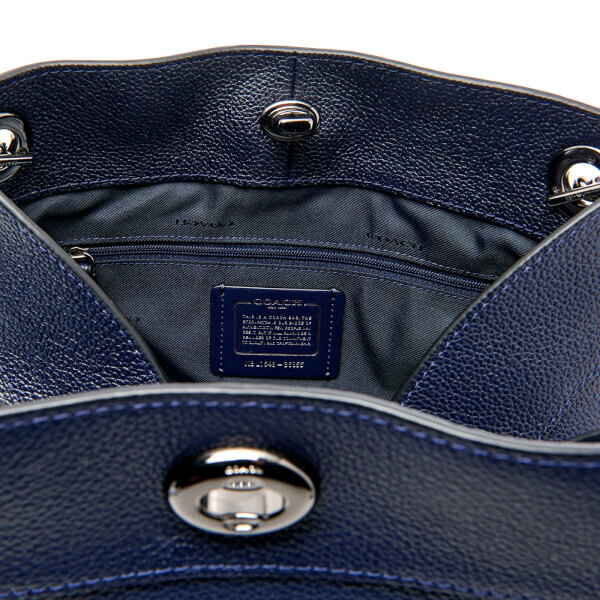 Complete with a detachable tag and Coach branding. Dimensions: H: 28cm x W: 32.5cm x D: 14.5cm. Handle Drop: 24cm.